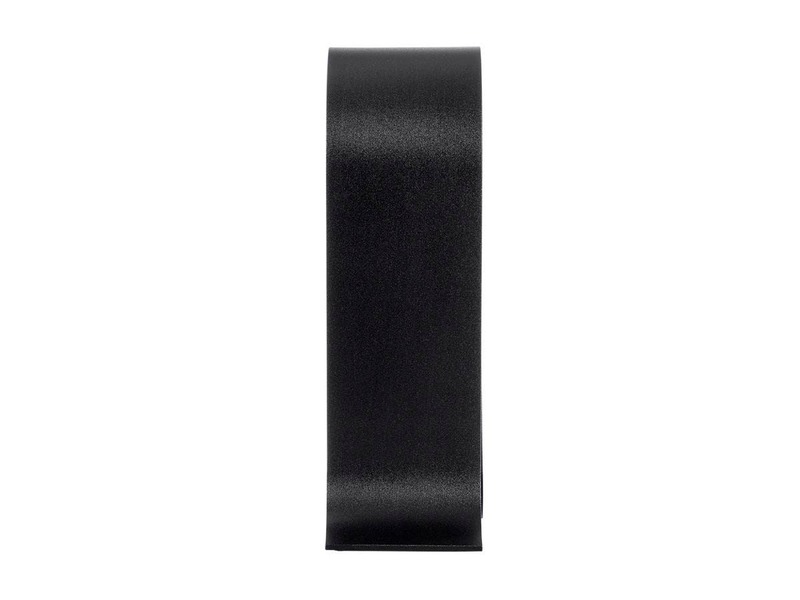 what are the dimensions of this headphone stand (height, width)? 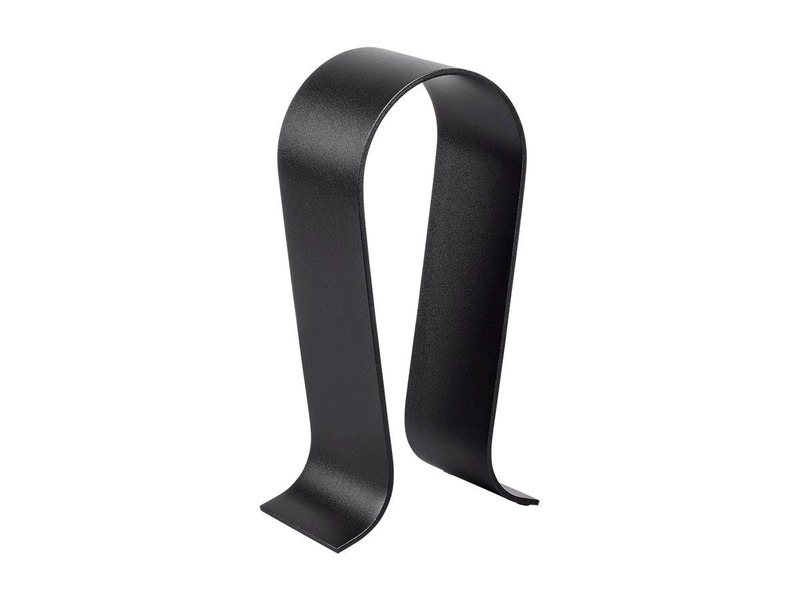 BEST ANSWER: The headphone stand is 9.5 inches tall, 5.5 inches wide, and 3 inches deep. 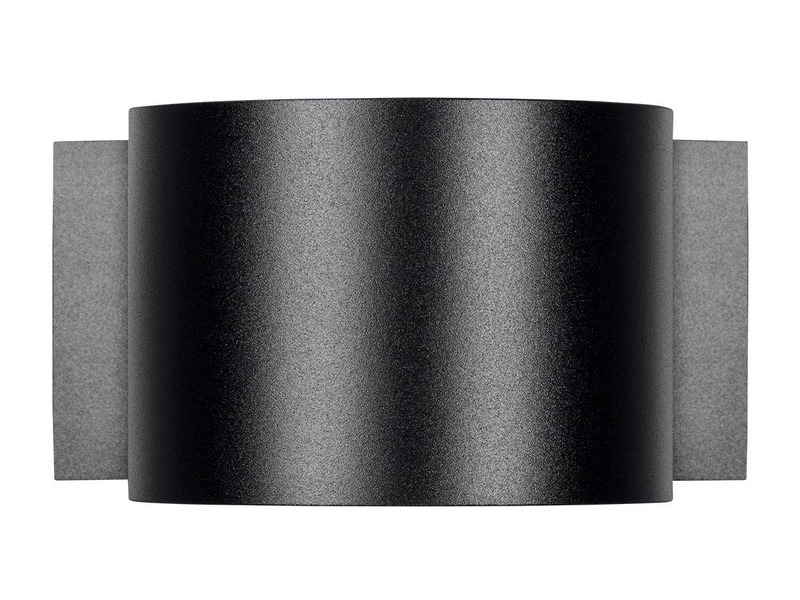 Why hasn't anyone from Monoprice answered this simple question on the dimensions of this product in over two months? Simple and functional, just how I like it. I like the simple, understated look. It's solidly-built, and nice and straight (i.e. doesn't wobble or rock on the table). 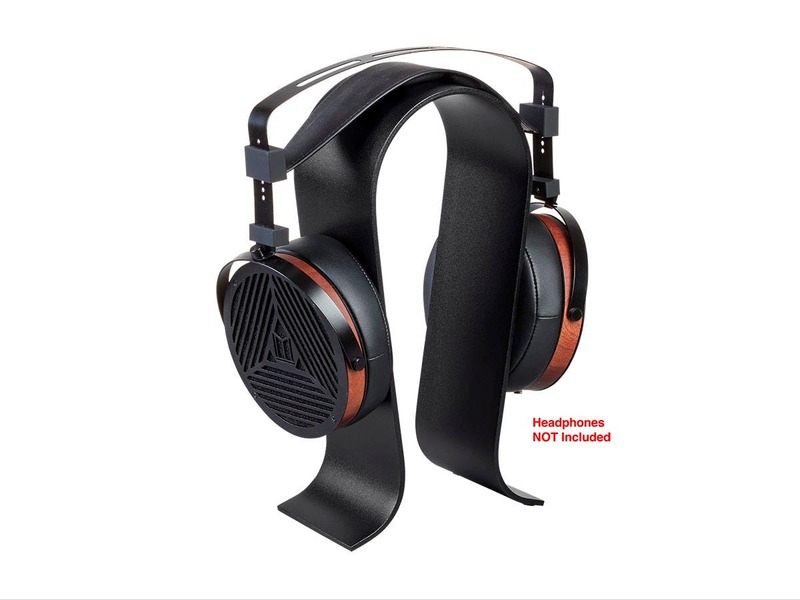 It's exactly the size I was looking for, just right for full-size headphones (I'm keeping my HD-650s on it) -- other stands I've seen at comparable prices aren't really big enough for full-size cans. Promo price and free shipping was a nice touch, too!I held back from a 5-star review because I think there is one potential area for improvement -- some sort of cable management would be great. Right now, I have to coil up the cable and tuck it in between the two legs of the arch... that's fine, it works and looks OK, but it is a bit tedious. That being said, I've never seen any other headphone stand with cable management, and I'm not even sure what would be a good way to implement it. Solid and good finishing material but a little narrow compared to competitors. Fortunately I sold my Audeze headphones a while back and use this stand for the Grado, otherwise the Aueze would be too big for this stand. I only received three round feet instead of four, I replaced them w/ what I have around the house which are thicker and better than the thin feet came w/ the stand. Overall I'm satisfied w/ it, it served its purpose is all that matters. 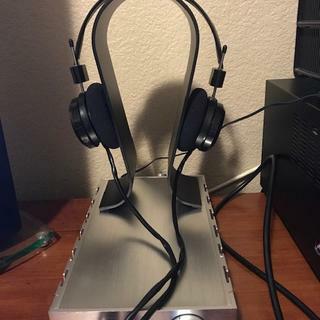 Headphone stand with a few blemishes. It's a headphone stand. It holds headphones. Nothing super special here. The surface was a little marred upon receipt. Looks like there were a few places that there were imperfections in the anodization and it was painted over or touched up with sharpie or something. I don't really care, but I think it should be considered a factory second if they actually recognized a blemish and then took the time to touch it up. 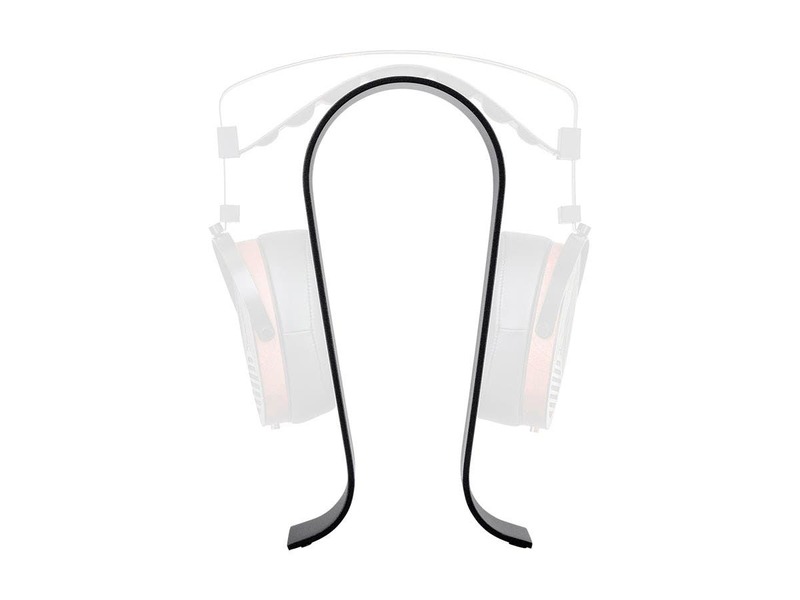 Since it doesn't affect the performance of holding headphones, I still give it 4 stars. For a wannabe audiophile, there's nothing quite like a nice pair of open-back headphones sitting on a headphone stand in your listening area. Its pretentious, elitist and I love it. When I bought this I thought I'd have concerns with it being too top heavy but the stand wide enough that it doesn't tip. Works great with my headphone and looks good on my desk. The only minor issue I had is the rubber feet on the bottom. While it's pretty obvious where they go, there's not indicator on the bottom of the stand. Not big, but you could get it misaligned pretty easily. Not enough of an issue to ding it star, but just a consideration. Solid and attractive. Yes I would recommend to a friend. Nice stand, stable and attractive. Matches the monoprice headphone. Keeps the earcups in the proper position when not in use. Sturdy, well-built stand. Larger than expected. Arrived with a 1-inch scratch on the finish; otherwise, it's functional and looks very nice.